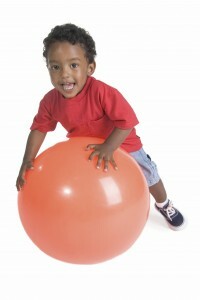 Home » Blog » How Physiotherapy can help Children with Cystic Fibrosis. How Physiotherapy can help Children with Cystic Fibrosis. Cystic Fibrosis is a genetic disorder that affects the lungs, pancreas, liver, and intestine. Symptoms usually appear in the first year of a child’s life although they can develop later. Different mutations caused in the CFTR gene can cause different severities of cystic fibrosis. The mutation in the CFTR gene results in too much sodium (salt) traveling into the cells leading to thick, sticky secretions. People diagnosed with Cystic Fibrosis often have poor growth, weight gain, an accumulation of thick; sticky mucus, frequent chest infections, coughing and shortness of breath. Lung disease results from the clogging of the airways due to mucus build-up resulting in inflammation. Recurrent inflammation and infection causes damage to the structure of the lungs and worsens symptoms. Physiotherapy should start when a child is diagnosed and aims to prevent the build up of thick sticky secretions in the lungs from blocking the airways, reducing the risk of infection and lung damage. A specialist respiratory physiotherapist will carry out an assessment on the child to decide on an appropriate airway clearance technique and appropriate treatment plan. Our physiotherapists will help develop an exercise plan, as it is essential to maintain fitness, strength, bone density and posture. Children with Cystic Fibrosis are at risk of developing postural abnormalities, and it is important to monitor closely and intervene early to reduce skeletal changes. If your child has Cystic Fibrosis and requires a review of their airway clearance technique or further support, our specialist paediatric physiotherapists can help. We are able to see your child at home or school and can set up an initial appointment within 24 hours. Contact us today on 0207 884 0374 or email info@physiocomestoyou.com. Our physio came to see us last week and she was excellent. We have a few sessions booked in the diary. A very positive experience! Many thanks. My physio was very professional and thorough with her diagnosis, treatment and aftercare. Physiocomestoyou was a personal recommendation from a colleague. My initial draw was the fact she worked very flexible hours. I could be seen for my appointment at 7am every week which meant limited time was lost at work. She was quick in identifying a muscular impingement in my left shoulder. A series of sessions helped cure the problem. I was extremely impressed with the service and highly recommend Physiocomestoyou. I am now pain free!! Charlie was excellent. A great physio and just what we needed. We'd recommend her strongly to anyone. Tori Healey was brilliant. She is great with children, very knowledgeable, practical and was focused and firm while being playful. She was very flexible with times and days of appointments. She achieved great results, much better than I was expecting – we owe her a big debt for getting our son’s arm back to full working order.